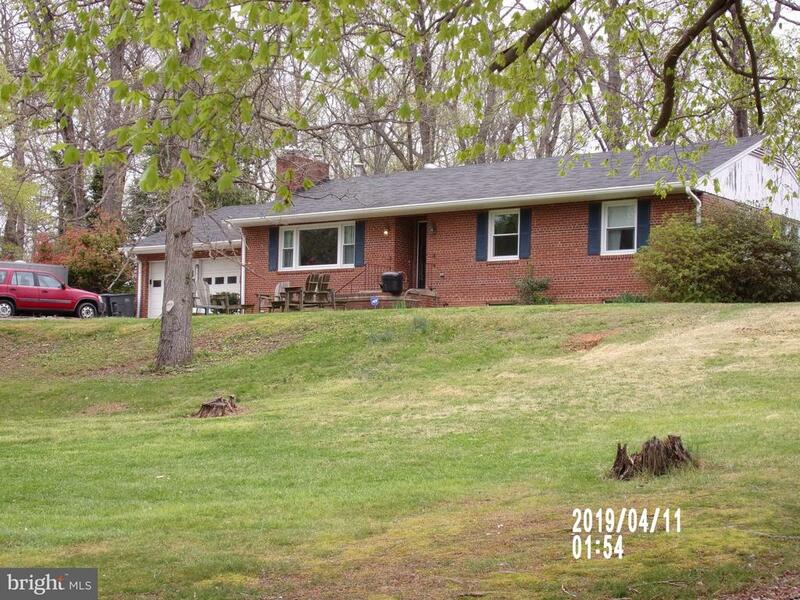 All Triangle homes currently listed for sale in Triangle as of 04/25/2019 are shown below. You can change the search criteria at any time by pressing the 'Change Search' button below. If you have any questions or you would like more information about any Triangle homes for sale or other Triangle real estate, please contact us and one of our knowledgeable Triangle REALTORS® would be pleased to assist you. "Absolutely gorgeous! 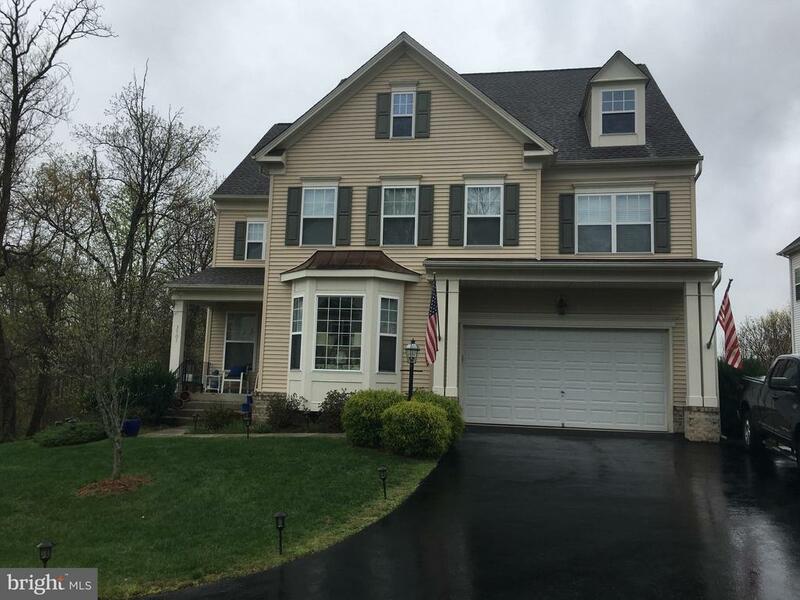 5BR/4.5BA 3-level colonial with front porch! 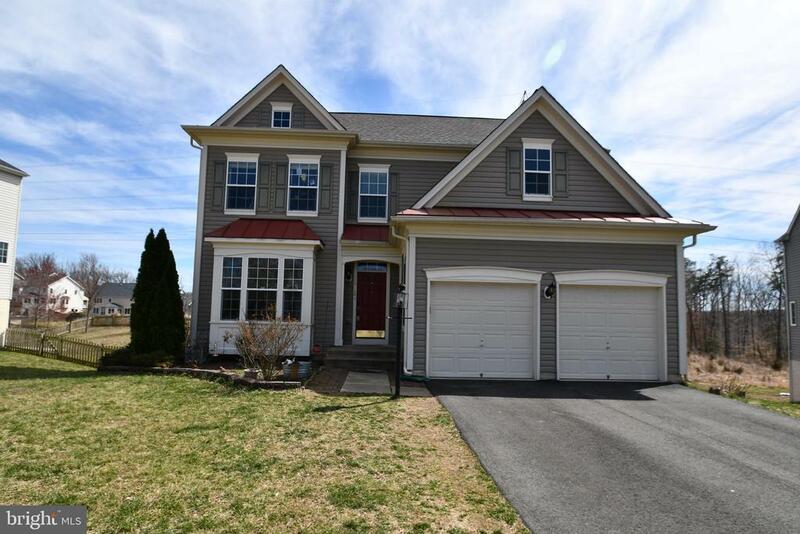 2-story foyer w/ gleaming hardwoods & open double staircase overlooking 2-story family room w/ gas fireplace! 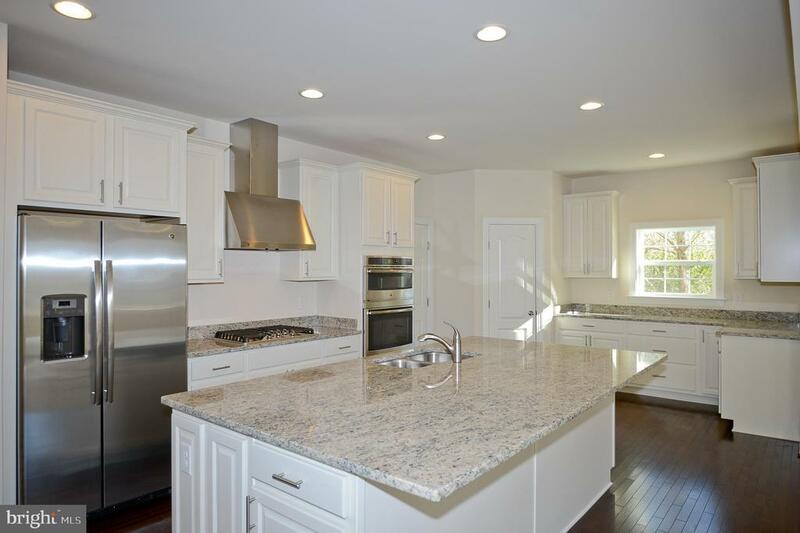 Gourmet granite kitchen w/ island has 42 cabinets, gas cooktop, double wall ovens & butler's pantry! Master suite feathers tray ceiling, sitting area, his & her walk-in closets, separate vanities & separate shower w/ garden tub! Finished walkup basement w/ full bath, wet bar & extra fridge! Game room conveys! Great neighborhood amenities including pool!" "Beautiful home that is fully finished and move in ready with over 5000 square feet. Military friendly/DOD community. Minutes from multiple bases, I95, HOV, Potomac Mills, VRE, and Metro rail and located in cul de sac. The main level greets you with gleaming hardwood floors with an open floor plan. Gourmet kitchen and butler pantry with a large center granite island countertop with stainless steel appliances. Surround in-ceiling sound system on main level and basement. Main level office and morning room. The upper level features 4 bedrooms, including a huge master with separate sitting room with a fire place. The large master bath has separate shower and tub, dual vanities and Custom closet providing lots of space! All bathrooms have custom tile. Basement in-law suit with full wetbar and 42~ cabinets, includes wine room, large gym, flex room, rec/media room with theater platform seating and a full bathroom. Great storage space for holiday decorations, etc. All main living areas with cable ready access. Large bedrooms with walk in closets. Front load washer/dryer. Smart home thermostat and doorbell. Amazing outdoor living with a large 6~ privacy fence, lighted Trex porch and patio with fire pit, and outdoor Bose speakers. Oversized shed with ramp and workbench. Complete .54 acre in-ground Rain Bird sprinkler system. Community pool, parks, and walking trails." 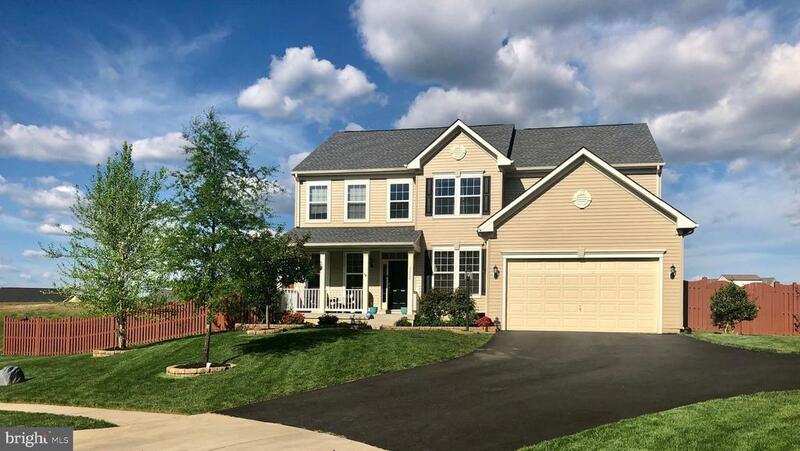 "NEW CONSTRUCTION: Savannah Model, 4 Bedrooms, 3.5 Bathrooms, Maintenance Free Vinyl Siding with Country Porch, Morning Room Off of Breakfast Nook, Finished Basement Rec Room and Full Bath *Photo Similar to Home Being Built! * (VIP Membership - See Sales Manager for More Details)"
"NEW CONSTRUCTION: Mason Model, 4 Bedrooms, 4.5 Bathrooms, Maintenance Free Vinyl Siding, Front Door with Covered Porch, Open Kitchen and Family Room Design, Walk-in Closets and Full Baths in Secondary Bedrooms, Finished Basement with Rec Room and Full Bath. *Photo Similar to Home Being Built* (VIP Membership - See Sales Manager for More Details!)" "End your long commute to Quantico and avoid I-95! 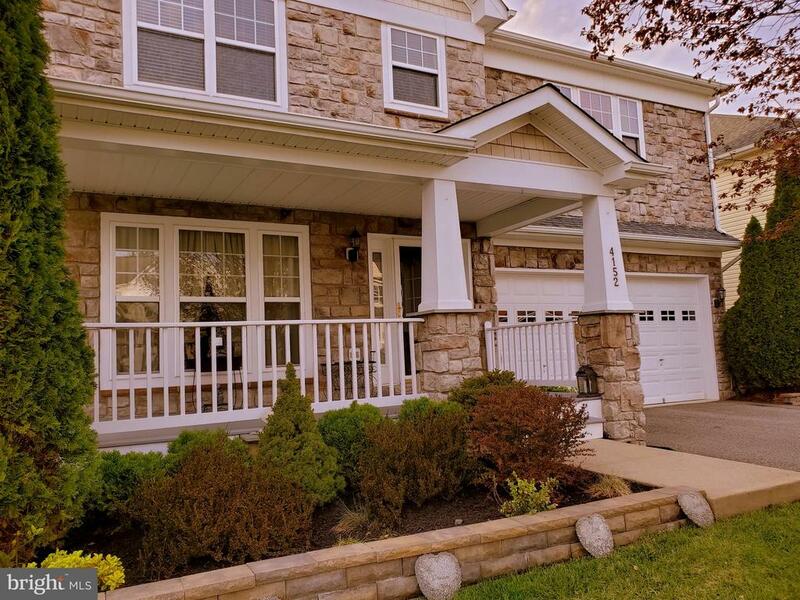 Don't miss out on this beautiful home in sought-after Stonewall Manor! Beautiful and ready to move in, this home features hardwood flooring and custom molding through most of the main level. Stunning 2-story family room with vaulted ceiling and floor-to-ceiling stone fireplace. Sunroom off massive chef's kitchen creates an amazing open feel. Incredible kitchen finishings include a built-in wine cooler, huge island, gourmet stainless steel appliance package and Jenn-Air cooktop. Sunroom opens to large deck and patio and fenced yard with trees in the rear for privacy. Fully finished basement with custom movie theatre, workout room and open recreation space. NEW Roof, carpet, Deck, and 5 year old HVAC. This home has the size, location and appointments you can't live without. Schedule a visit today!" "It takes a deep breath to describe this huge, amazingly appointed home! It has absolutely everything you could want in a dream come true... the curb appeal is excellent, the porch is welcoming, the amazing deck with lighted stairs and stamped concrete patio... Ahhh! The well seeded yard, with privacy fencing on the neighbor sides is capped with wrought iron fencing along the rear property line. Its a delight in every direction! Common area and playground access from the rear yard. But wait... there's so much more!!! If the United States Marine Corps is near and dear to your heart, you are literally less than 10 minutes from Base entry to MCBQ, and this home has unobstructed views of the National Marine Corps Museum! Inside the home, gorgeous hardwood floors worth many tens of thousands of dollars await you! Soaring 9 ft ceilings and a 2 story foyer take your breath away! Columns add to the drama of the enormous space of the main level. Granite everywhere, plus custom lighting, wood trim, kitchen island, beaucoup cabinet space and drawers with sliders and organizers! The Family Room is large and cozy with a stone wall, gas log fireplace, and custom draperies convey. Access to the deck and its stunning panoramic view makes NOW the absolute best time of year to spend outside! Security and safety lighting abounds all around the house. Huge walk in pantry with shelving on 3 sides and a French multi lite door. There's a beautiful built-in Collector's Display Nook, with custom wood trim and glass shelving, that could serve as a BUTLER'S PANTRY between the kitchen and dining room. When you venture up the stairs, the sea of beautiful hardwood and wrought iron stair railing just sweeps you into the upper Family Room overlook! Every bedroom is large, some with walk-in closets, and a second Master suite for company or other needs. The primary MBR suite envelopes you with sensory delight, from the hardwood flooring to the tray ceiling, high above you... and th"
"Well Maintained Single Detached Colonial. The Pride of the owners. New Roof 2018 Replaced. A/C unit has been replaced 2018. Stairs with Oak Runners. Master Bed Room has a Sitting area with Gas Fire Place. Finished Loft with Bed Room with bath room Roughing. Upgraded Attic Insulation. 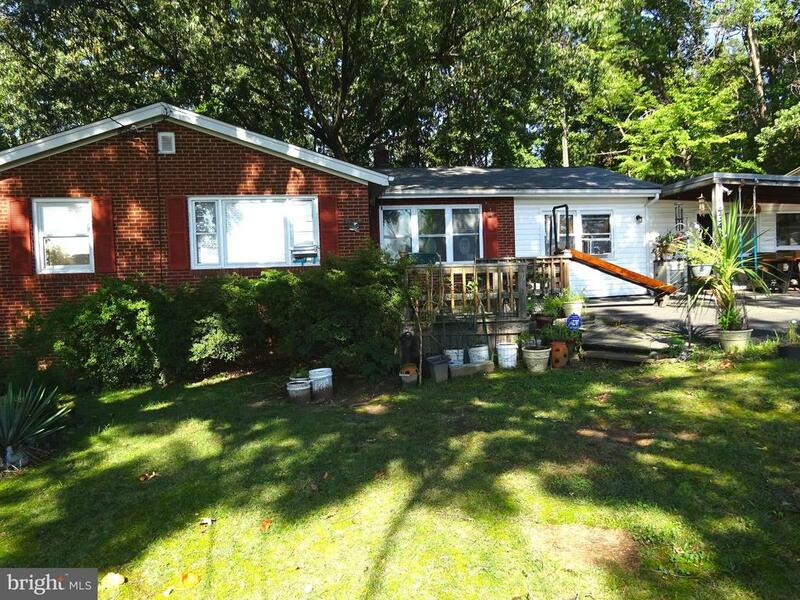 Basement walkout and has a possibility of having a Rec Room and a Full Bath and 1-2 Bed Room. The house is wired for CAT-V and Cable/ Co-axel. Quiet area next to Tree Safe area. Fire Place in Family Room and Master Bed Room. Upstairs Princes Suite. The common Bath on First Floor has dual door access. Worth Every Penny." "Wake up to peaceful views from your deck or patio enjoying the privacy and simplicity in this secluded enclave of 26 homes with 1/4+ wooded lots. Quick commuting with VRE and 95 access close by. Central location to Stafford and tons of shopping and dining at Wegmans, The Apple Store, Uncle Julio's and PF Changs. 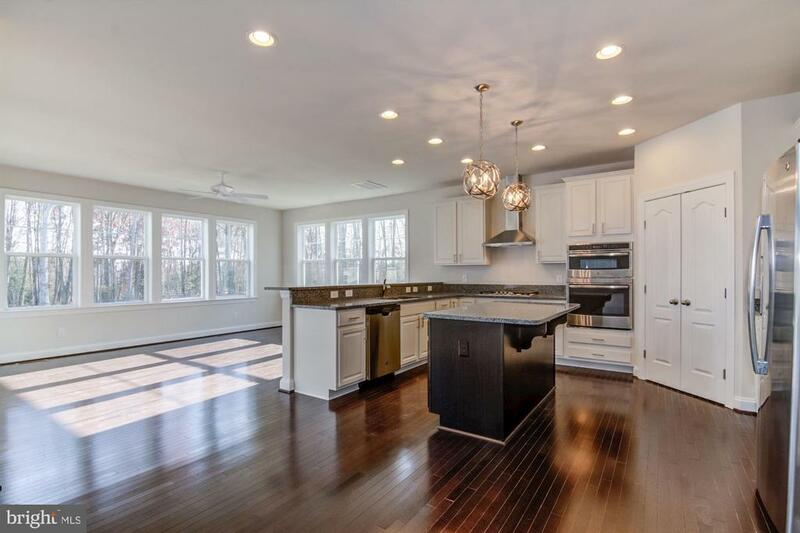 Prince William County's best Single Family Home Value, Brand new homes just minutes to the VRE and Route 95. Open Sunday-Monday 1pm-6pm and Thursday-Saturday 11am-6pm." "THE VALUE IS IN THE LAND DEVELOPMENT POTENTIAL! 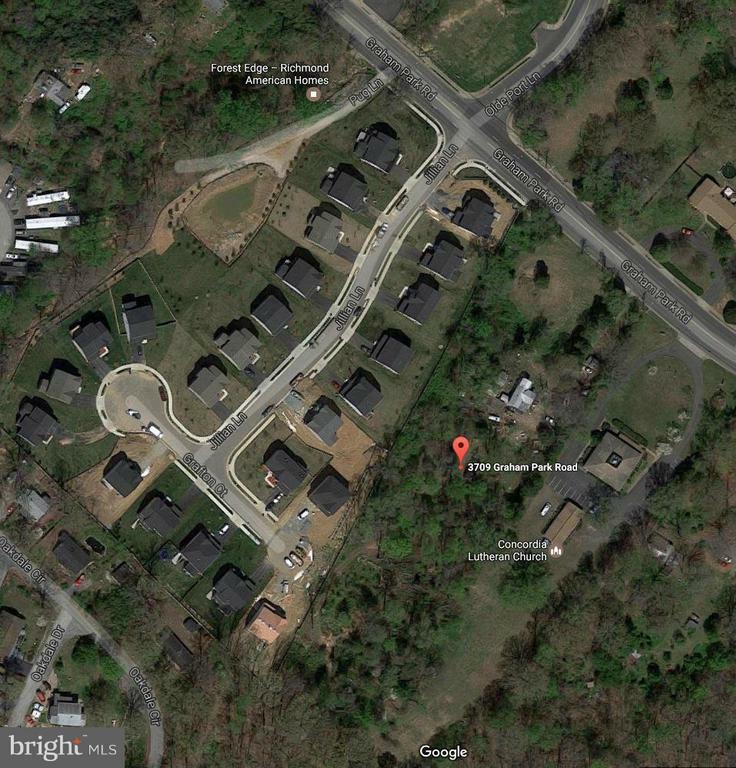 View 8 large SFD Lots on Prince William County (PWC) Expired Validated Sketch Plan for Proposed Washington Family Estates (Download in Documents) Call for Details!" "Back on the market. Great opportunity to purchase a single family home sitting on 1.68 acres and zoned R4. R4 zoning allows for up to 4 homes sitting on this lot. Contact Prince William County Zoning for additional by right authorizations. 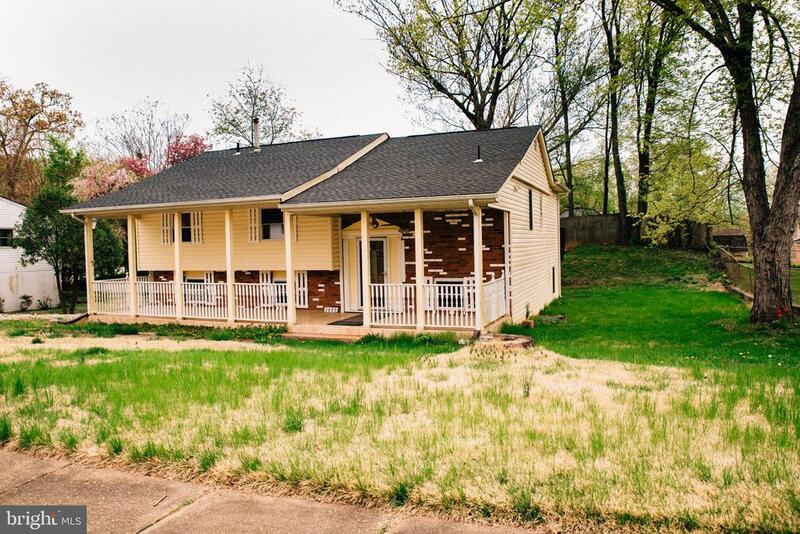 The location of this property is within walking distance to Quantico Marine Corp Base entrance, Jefferson Davis HWY (rt1) and interstate 95. this is a very private and secluded area yet close to everything. This is a perfect opportunity for builders and/or investors." "The View! Mid-centrury rambler built in 1968 with Western Red Cedar siding. 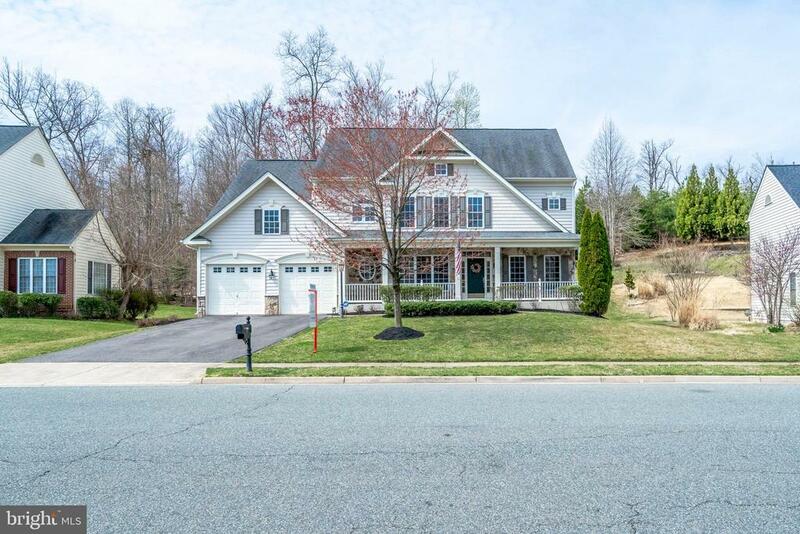 With water view of Quantico Creek and many recent upgrades. Approximately 3,410 square feet of living area on two levels and a private .63 acre (27,597 square foot) yard with mature oak and poplar trees. Six bedrooms, 3 renovated full baths, renovated kitchen on upper level and second kitchen on lower level. Large 2-car garage with room for two SUV's and with built-in storage. Two brick fireplaces with wood mantles. Unfinished laundry and workshop area in basement that has walk-out to lower porch. Fenced back yard, enclosed and attached outdoor storage room, upper wood deck, upper screened porch and lower tiled open porch. Private and secluded with occasional wildlife visits and many bird watching opportunities. 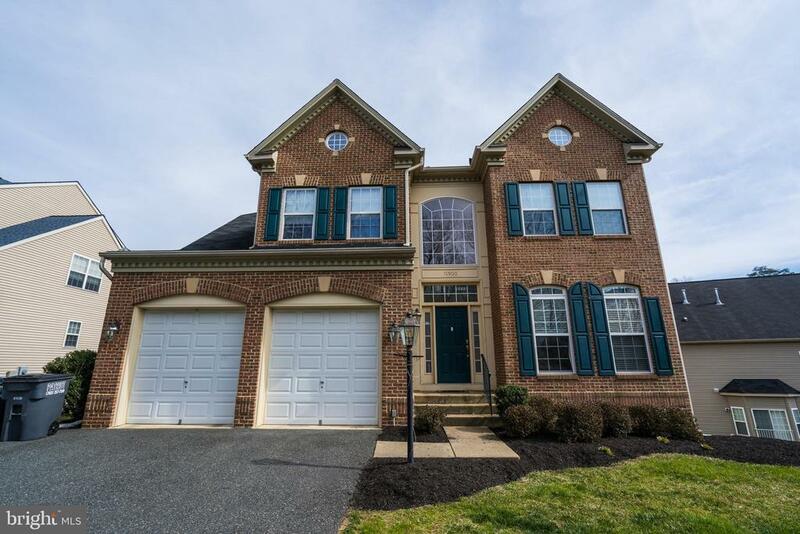 Less than 10 minutes from Quantico Marine Base, local shopping and 1-95. New asphalt driveway resurfacing! New roof & 5 gutters! New paint! New upper kitchen tile floor, granite countertops & appliances! Anderson windows renovated! New washer & dryer + utility sink! Updated AC condenser & handler! Wood deck surface replaced! Updated water heater!" "Opportunity does knock twice!! Fully Available, tour today! Assessed For $518,100.00. See It Today! 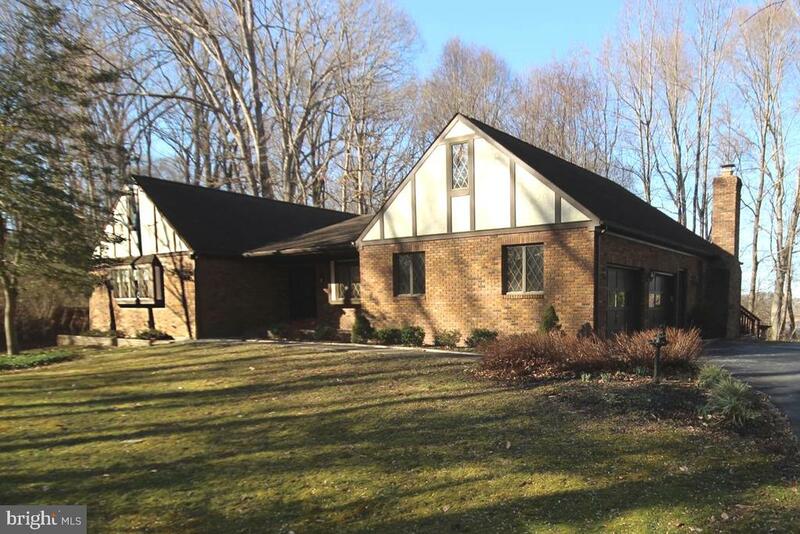 The picturesque setting and the scenic view enhance this peaceful Main Level Living Rambler/Rancher Style Home. 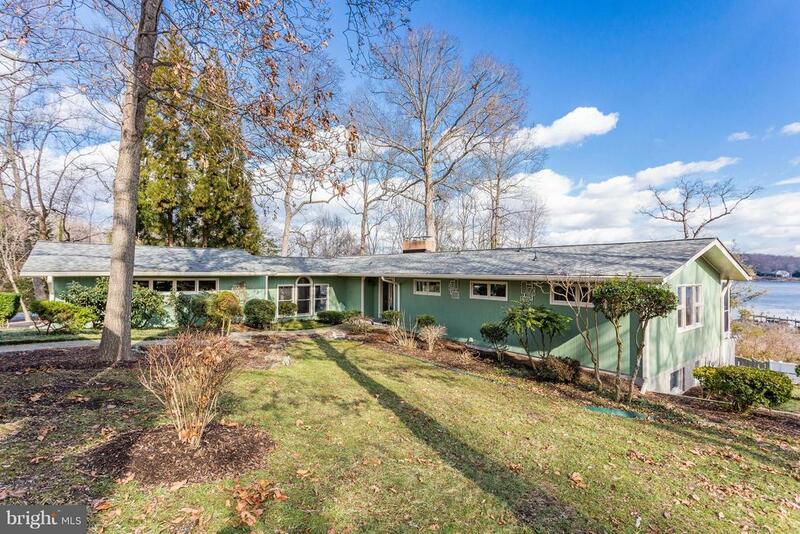 Open Partially Wooded .64 Acre yard overlooking Tranquil Quantico Creek. Inviting front porch. See Deer wander, Eagles Soar and Waterfowl Glide along the rippling blue Creek. Star Gaze by a fire pit, Launch your Kayak, Grab your binoculars and Birdwatch. This Custom Built One Level Home w Basement features 3 spacious Bedrooms and 2.5 Baths, Separate Dining Room, upgraded kitchen for entertaining in style. Family room with cozy gas fireplace opens to deck overlooking yard and sparking creek. Full basement boasts an additional 2000 sf with storage and workshop/hobby area. Private neighborhood with beautiful homes on large lots, no pesky HOA. 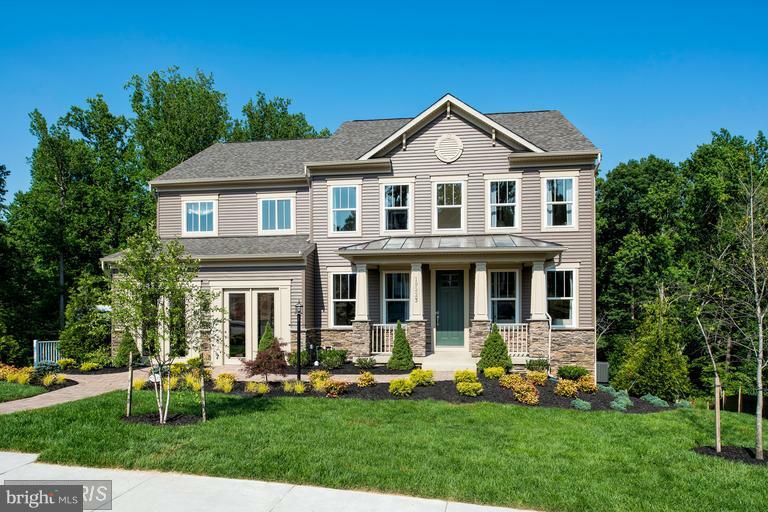 Location is near upscale shopping at Stonebridge with Wegmans, Starbucks, fun restaurants and popular shoppes. Minutes to Quantico Marine Base, Virginia Railway Express Commuter Rail (VRE), and the Express Lanes of Interstate 95. Enjoy recreation areas nearby including Boating at Leesylvania State Park, Hiking and camping at Prince William Forest Park and Fishing at Locust Shade Park. Tee Time Ready at Potomac Shores, Montclair Country Club and Forest Green Golf Courses. Main Level Living--It's all about the carefree, fun Lifestyle, and the convenient location to the things you love to do." "Motivated Seller Who Is Able to Settle and Vacate the Property Before the End of May 2019 with Acceptable Offer! Gorgeous Home in a very sought after neighborhood and convenient ! Colonial Open and Traditional Floor Plan throughout. No HOA Located at Road End Cul de Sac. Backyard Faces to Forest. 2 miles or less to I-95 & Express HOV Lanes, Rt. 1, VRE/Amtrak Station, Van/Car Pool Parking Lots. 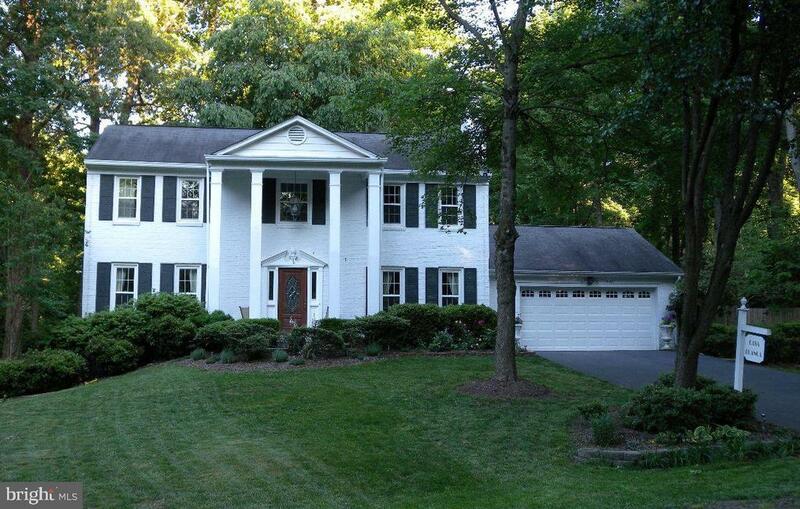 Close to Forest Greens and Quantico Golf Courses. Major shopping within 10 minutes. State and National Parks nearby!" 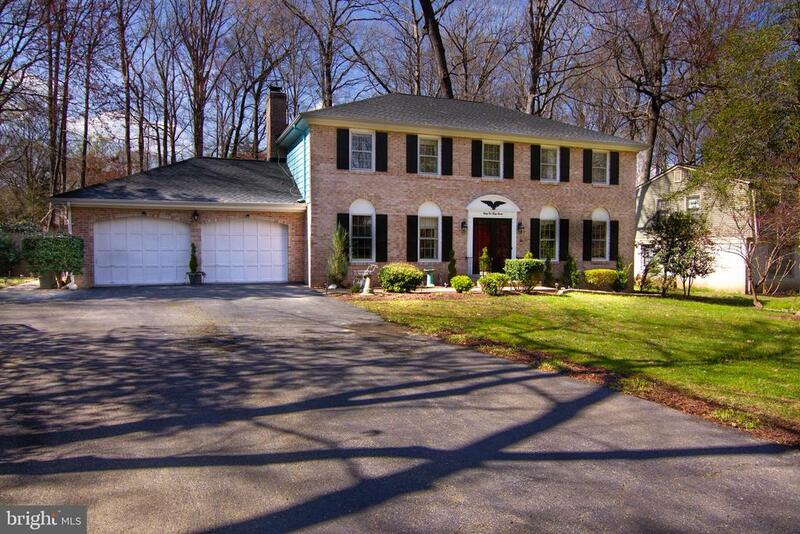 "Beautiful 5 Bedroom Colonial. Kitchen with upgraded cabinets, island, built in microwave, gas stove, pantry. Roof Replaced in 2017. Family room with large picture windows and gas fireplace. Wood floors. 4 large bedrooms upstairs. Master bathroom with dual vanities, soaking tub, and separate shower. Convenience Upstairs Laundry Room. Finished basement with game room, 5th bedroom and full bathroom. Walk out, full daylight. Fenced, private backyard. Deck off kitchen with stairs to backyard. Low maintenance composite deckboards. Close to Marine Corps Base Quantico. On a cul-de-sac! Must see." "Amazing Home in Sought after Graham Park Shores! 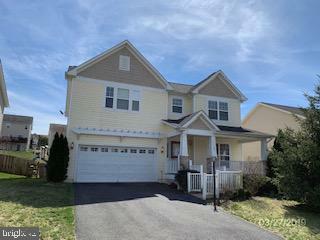 3 Finished Levels, Hardwood Floors, Bonus Room On Upper Level, Granite Counter Tops, Corner Lot, Multi-functional Space in Basement With Full Bath, New HVAC/Furnace/Humidifier Installed In 2017, New Roof 2014, Extensive Landscaping, Beautiful In Ground Pool, Shed, Close to Quantico and I 95,"
"Beautiful neighborhood and spacious home! Attached garage with beautiful deck. Must see 4 bedroom home with his and her sinks in the master bedroom. Big mostly finished basement with stairs leading to the backyard. Employees and family members residing with employees of JPMorgan Chase Bank, N.A, its affiliates or subsidiaries are strictly prohibited from directly or indirectly purchasing any property owned by JPMorgan Chase Bank, N.A." "Beautiful home This 4 bedroom, Double Garage 2.5 bath home has hardwood, Ceramic floors & molding. spacious Bedrooms, Separate Dining Room, upgraded kitchen for entertaining in style. Family room with cozy wood fireplace, deck overlooking the Pool and Back yard, storage and Private neighborhood with beautiful homes on large lots, no HOA. 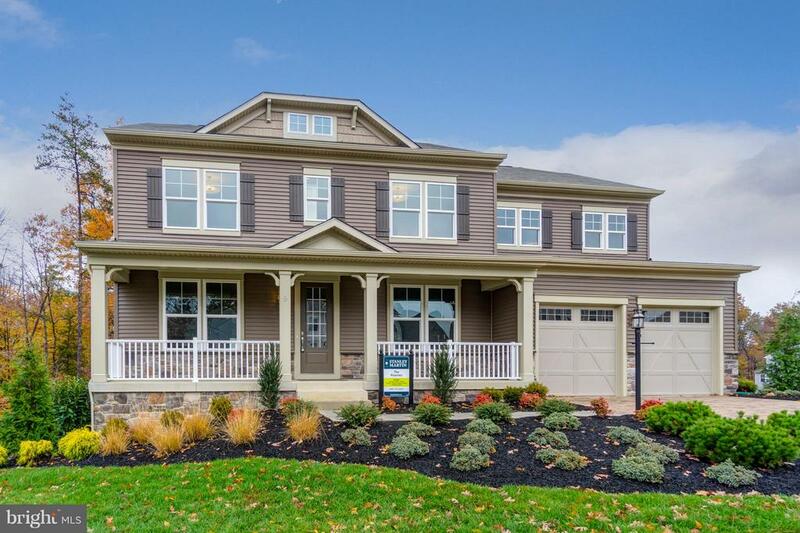 Location is near upscale shopping at Stonebridge with Wegmans, Starbucks, fun restaurants and popular shoppes. Minutes to Quantico Marine Base, Virginia Railway Express Commuter Rail (VRE), and the Express Lanes of Interstate 95. Enjoy recreation areas nearby including Boating at Leesylvania State Park, Hiking and camping at Prince William Forest Park and Fishing at Locust Shade Park. Tee Time Ready at Potomac Shores, Montclair Country Club and Forest Green Golf Courses. Main Level Living--It's all about the carefree, fun Lifestyle, and the convenient location to the things you love to do." 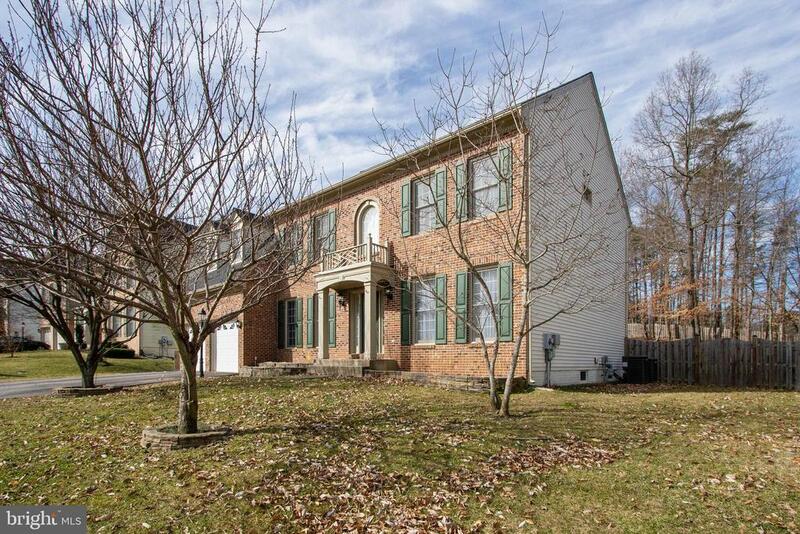 "Bright, open home with large two-story foyer, hardwoods through main level and master suite. formal dining room with tray ceiling and crown molding, open kitchen with gas cook-top, double wall oven, breakfast island, bay window, and table space. Family room with recessed lighting and sliding door leading to good-sized deck overlooking larger rear yard and pond. Formal living room with crown molding. Upstairs has large master suite with corning soaking tub and separate shower. 3 additional good-sized bedroom with carpeted floors. Full-sized unfinished basement. 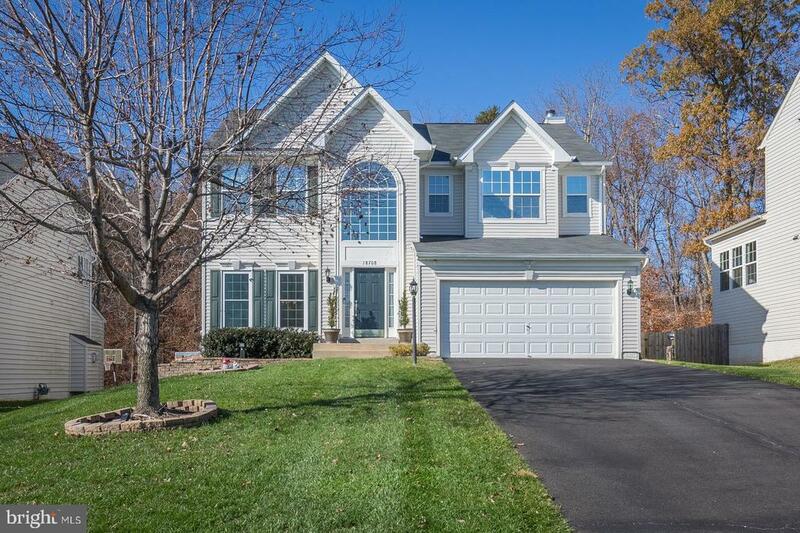 Located close to Quantico Marine Base"
"WOW! A lot house for the Dollars! Two Finished Levels with in-law-suite. FIVE BEDROOMS and plenty of space to spread out. DOUBLE LOT to enjoy the HUGE FRONT YARD! Talk about Charm, this one has it all. Bring your imagination and lets get started creating your life long home. Few RAMBLERS available with this much to offer. Close to Quantico Marine Base, VRE Commuter Train, RT95 Commuter Lots with Busses to DC. There is so much to offer with this house that you need to see it. REAL Hardwood Floors. REAL Trees and Yard. HUGE Driveway! Great for a contractor or large family. Gotta See This ONE!" 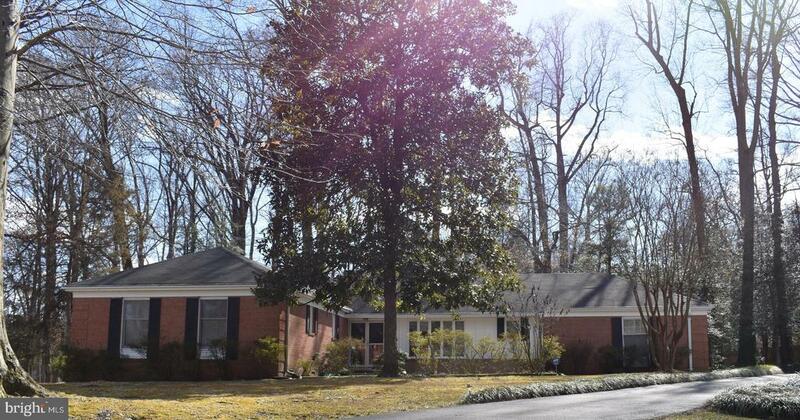 "BEAUTIFUL 1 LEVEL ALL BRICK HOME ON A .67 ACRE LOT. SIDE LOAD 2 CAR GARAGE WITH EXTENDED DRIVEWAY OFFERING LOADS OF PARKING. 4 BEDROOMS ALL WITH HARDWOOD FLOORS AND 2.5 BATHS NEWER ROOF AND HOT WATER HEATER. KITCHEN WITH GRANITE COUNTER TOPS, WALL OVEN AND LARGE COUNTER SPACE WITH SEATING. 2 LARGE FAMILY ROOMS THAT WALK OUT TO AN INVITING DECK WITH LOTS OF PRIVACY. BACK YARD IS FULLY FENCED AND HAS LARGE SHED WITH LOADS OF STORAGE SPACE." "Largest floor plan in the neighborhood. Great potential for renting a separate in-law-apartment with a separate 3 tone AC unit, 5 bedrooms, 3 full bathrooms, 2 laundry rooms, possible second kitchen or bar in the basement (plumbing already in place), Fresh paint and new carpet. Seller motivated." "UPDATED 3BDRM 2 BATH BRICK FRONT1 CAR GARAGE RAMBLER BOASTS A LARGE EAT IN KITCHEN WITH GRANIT COUNTER . CERAMIC FLOORIN&,HARDWOOD FLOORING 2 FIRE PLACESNEW WINDOWS,ROOF, A/C AND CARPET"